Sometimes getting lost is an excellent way to truly discover a new place. That said, it's always good to understand some key facts about your destination before you head off. Read on for a few Imperial tips and tricks. Imperial is a neighborhood in El Centro. You'll discover it 7 miles (11 kilometers) northwest of the center. Forget the big attractions — it's the locals that make a place tick. Here in El Centro, you'll find 43,000 of them. Imperial flight and accommodation deals can be easily booked via Travelocity, and what's even better is the money you will save. Simply take your pick from more than 400 airline partner companies and 665,000 properties. Our Customer 1st Guarantee gives you the added comfort of 24/7 personal assistance on everything from accommodations and airfares to rental cars and experiences. If you somehow find an even better bargain on a different website, we will return the difference^. Don't you want to have a little flexibility in your vacation plans? Our accommodations can be revised with no hidden fees or charges. And so long as you get in quick, many accommodations don't charge extra fees either^. Are you searching for comfortable accommodations in Imperial? You'll need to look a bit further out. Pick from 7 properties just a quick commute from this delightful neighborhood. Compare the offers and then decide between the Brunner's Inn & Suites (215 N Imperial Ave) and the Rodeway Inn (1093 Airport Rd). They're some of our top suggestions for this area. Where do you fly into for Imperial? Put your seat in the upright position, stow your tray table and prepare to touch down at Imperial County Airport (IPL). This is the nearest major terminal and it's about 4 miles (6 kilometers) southeast from the center of Imperial. Grab your bags and start exploring! Can I rent a car in Imperial? Don't bother waiting for public transportation. Take a look at your car rental options via Travelocity and get the most out of your time in Imperial. Why worry about getting to your hotel from the terminal? Pick up a vehicle right from the Imperial County Airport area. Let the friendly people at Avis give you a hand. Sure, getting your travel tips online is easy, but don't be too surprised if that "secret waterfall" isn't as serene as they say it is. For the best attractions in Imperial, nothing beats speaking to the locals. El Centro is one of the options to visit while you are in Imperial. It is situated about 7 miles (11 kilometers) away. 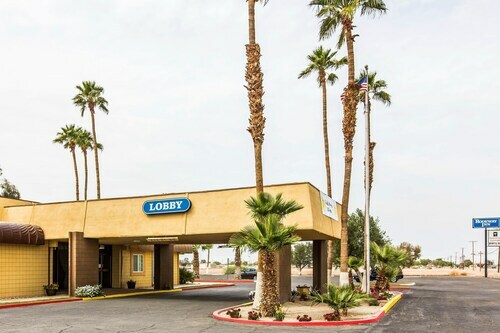 Situated near the airport, this motel is within a 15-minute walk of Imperial Valley Expo and Imperial City Hall. Eager Park is 1.1 mi (1.8 km) away. 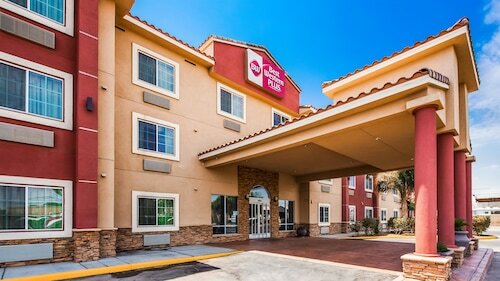 Situated in El Centro, this hotel is 0.4 mi (0.6 km) from Imperial Valley Mall and within 3 mi (5 km) of Broken Spoke Country Club and El Centro Chamber of Commerce. Bucklin Park is 2.5 mi (4 km) away. 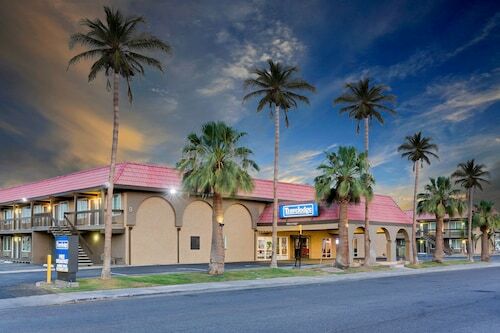 Situated in El Centro, this motel is within a 15-minute walk of El Centro Chamber of Commerce and Broken Spoke Country Club. Bucklin Park and Imperial Valley Mall are also within 3 mi (5 km). Situated in El Centro, this hotel is 0.9 mi (1.4 km) from Bucklin Park and within 3 mi (5 km) of El Centro Chamber of Commerce and Broken Spoke Country Club. Imperial Valley Mall and Imperial Valley Expo are also within 6 mi (10 km). This family-friendly El Centro hotel is located in a rural location, within a 15-minute walk of El Centro Chamber of Commerce and Broken Spoke Country Club. Imperial Valley Mall and Bucklin Park are also within 3 mi (5 km). 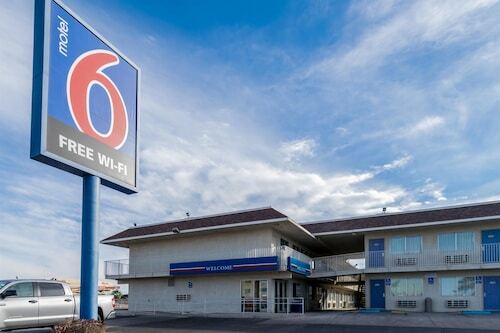 Situated near the airport, this motel is 1.2 mi (1.9 km) from Warner Park and 3 mi (4.8 km) from Del Rio Country Club. Westmorland City Park and Westmorland City Hall are also within 9 mi (15 km). 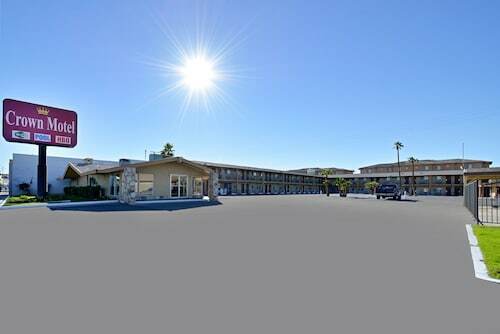 Located in the heart of El Centro, this motel is within 3 mi (5 km) of Bucklin Park, El Centro Chamber of Commerce, and Broken Spoke Country Club. Imperial Valley Expo and Imperial City Hall are also within 6 mi (10 km). 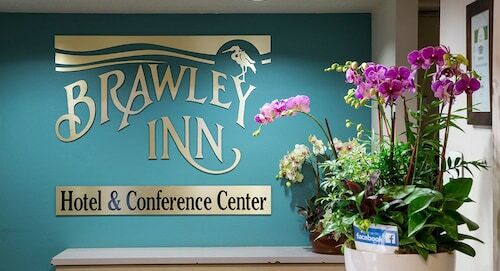 Situated in Brawley, this hotel is 1.8 mi (2.9 km) from Warner Park and 2.5 mi (4.1 km) from Del Rio Country Club. Westmorland City Park and Westmorland City Hall are also within 12 mi (20 km).